Formatting data not only makes it look good but increases the readability of the data set. If you work with data and create good looking client-ready reports, it will pay off to learn some Excel formatting shortcuts that you can use regularly and save time. 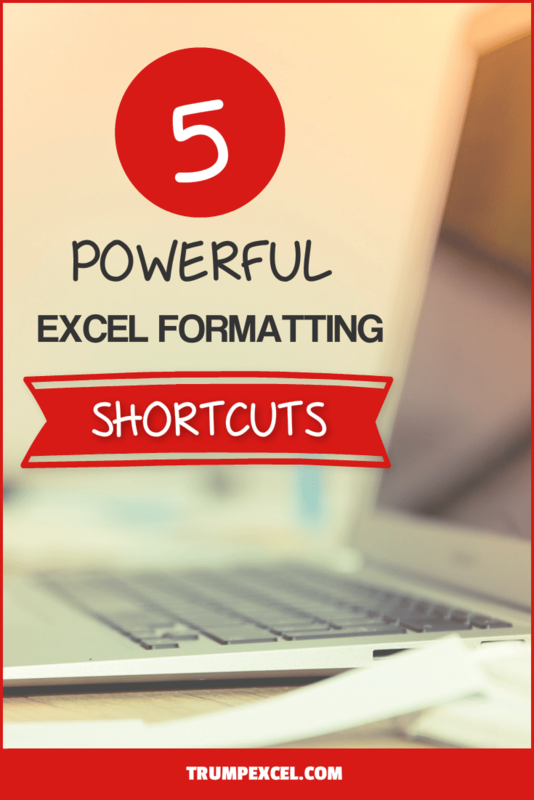 In this tutorial, I am sharing my top five Excel formatting shortcuts that I almost every day. If you prefer reading instead of the video, here you go! I often get a lot of data download from colleagues or files from databases that have no formatting to it look raw and ugly. My immediate next step is to apply some basic formatting so that it can further be used. Read on to learn more about these Excel formatting shortcuts. This formatting shortcut comes in handy when you have headers, and you want to highlight it by making the font bold. Control + B (hold the Control key and then press B). Similarly, you can also use similar shortcuts such as Control I to italicize and Control-U to apply the underline format. You’ll be surprised to see how better the data/report looks when you give it a border. This simple formatting transforms the data from raw data dump to something that looks more like a refined report. ALT + H + B + A (press the ALT key followed by H and B and A). While the default border color is black, you can change the color Home –> Font –> Line Color. If you have multiple tables/sections in the same workbook, you may want to apply a thick outline border that will separate these different sections. For example, you may want to separate data for different regions in the same dataset. If you want to apply a border to all the cells and the thick border as the outline, first use the shortcut ALT HBA and then use ALT HBT (and not the other way round). It’s quite irritating to copy and paste some data in Excel and see the text/data in the cell going out of the cells. This happens when the text/data in a cell needs more space that the existing column width. You can use the following keyboard shortcut to autofit the content so that column width would change to accommodate all the contents. 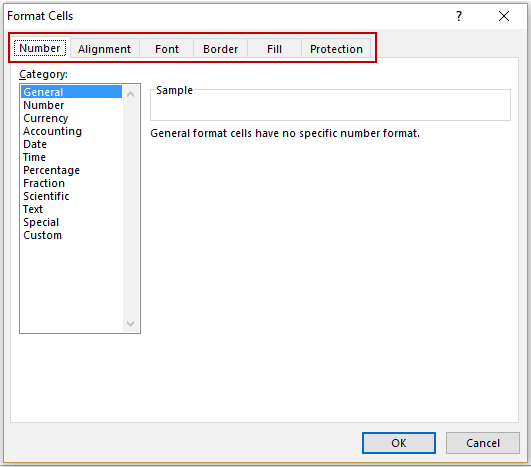 This shortcut will change the column width to accommodate the cell with most text. While this shortcut would apply any formatting to your data, it will open the Format Cells dialog box, which is a gateway to many important formatting options (such as Number Formatting, Alignment, Font, Border, and Color Fill). 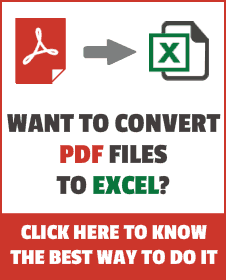 So now when you get a raw data dump, just use these quick Excel formatting shortcuts, and you will have a more refined and better-looking data in seconds. Note: If you have a formatted data set and need to replicate the same formatting for another data set, using Format Painter would be the right way to go. Do share your favorite keyboard shortcuts with me in the comments section. Work With Excel Like a Pro with 9 Simple Steps. Excel Shortcuts – Paste Special. Great shortcuts!! Those are the ones I use the most!! Keep up the good work Sumit! In any excel One is currently on cell A1 and presses “Ctrl + down arrow key“ , then he will reach to the end of the Column A because from cell A1 till cell A1048576 there are all continuous blanks. To go back to cell A1 from end of column A in this case, one will press- “Ctrl + Up Arrow Key”.